Our next group exhibition, ‘Absolutely Everything’, is at TAAG Gallery 1 in Teignmouth from 28th October to 3rd November. Contributing artists include: Angela Hilton, Clare Heaton, Cress de la Fosse, David Harbott, Karen Tarr, Karen Scott-Hamilton and Whitney-Anne Baker. 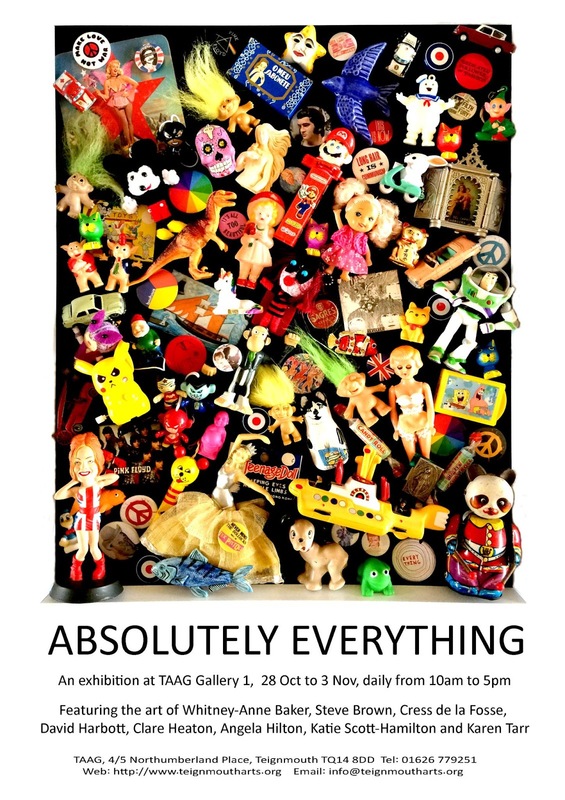 Here is a link to the TAAG exhibition page. The PV is from 4 to 6 on Sunday 29th October. I hope you will look in to say hello and check out what promises to be an interesting exhibition.